It's hard not to feel a little creeped out in the Amphibian and Reptile Diversity Research Center (ARDRC). Filled with rows of jarred dead amphibians and reptiles floating in preservation fluid, the center could challenge even the most stoic scholar. But spend some time with Carl Franklin, biological curator of the center, and you'll gain appreciation for what it really is: a rare look at a whole world of biodiversity. "It's a celebration of that diversity," he says. "It represents decades of scientific inquiry and discovery." 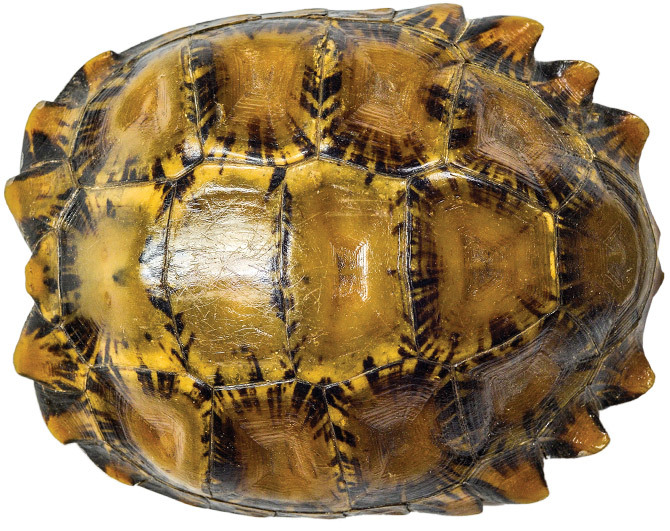 Home to the largest herpetology collection in Texas, the ARDRC surpassed 200,000 specimens from about 90 different countries this year after an extensive donation from the University of Louisiana at Monroe. The center is closed to the public, so enjoy this special sneak peek inside. ...and tortoise, too. 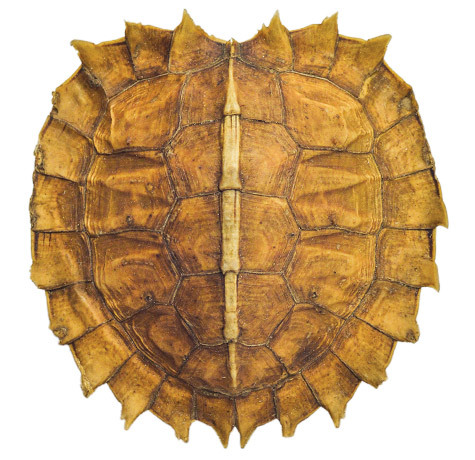 A Spiny turtle shell, among many on display at the ARDRC. The ARDRC is home to some live specimens, too. 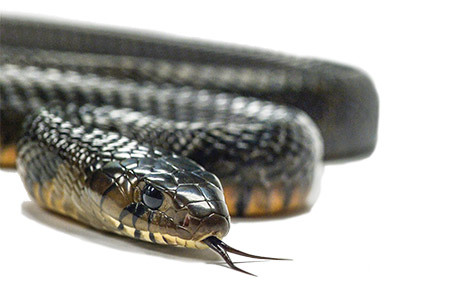 Pictured here is the center's Texas indigo snake, native to Texas and Mexico. 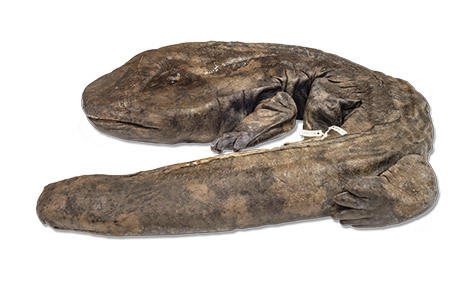 The Chinese giant salamander is the largest amphibian in the world. It can grow to more than 5 feet long and weigh over 100 pounds. Known as a monkey tree frog, this small amphibian is found in the rainforests of Venezuela. 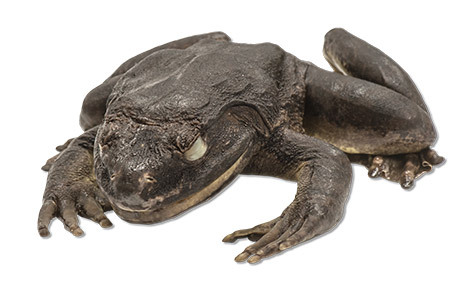 The biggest frog on Earth is the goliath frog. It occupies a small area of Cameroon, where this specimen was collected, and Equatorial Guinea. 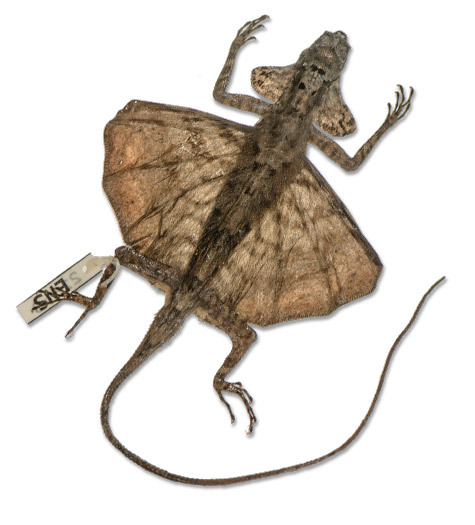 The dusky gliding lizard, often called a flying lizard, is known for its ability to leap and glide long distances. This one was collected in Indonesia. 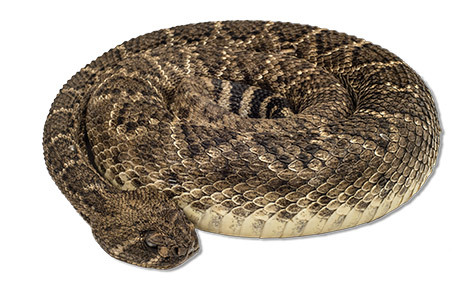 The Western diamondback rattlesnake is a venomous snake found throughout many southern states, California, and Mexico. Tricky, tricky! 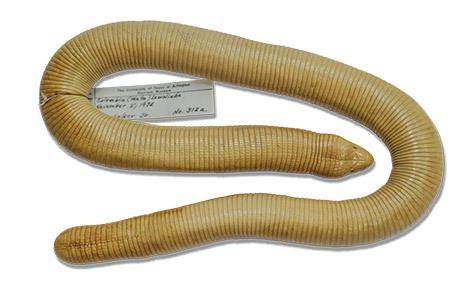 The legless lizard is found throughout the world in a variety of habitats. This specimen was collected in Colombia. 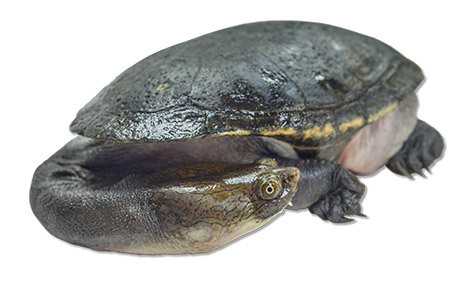 Another live friend at the ARDRC is this snake-necked turtle. The aquatic species is native to Australia and is known for its long, curving neck. The center is founded as a small natural history specimen collection by William F. Pyburn, UTA professor emeritus. Dr. Pyburn begins traveling to the jungles of Colombia. 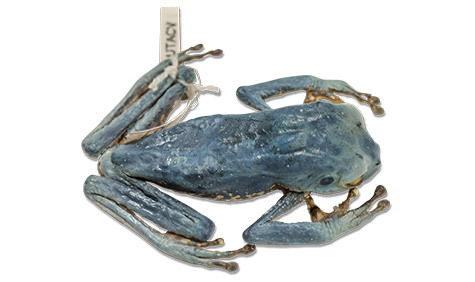 There, he collects unique specimens to bring back to the University that result in a number of scientific discoveries considered valuable to the field of herpetology to this day. The collection undergoes tremendous growth, expanding from about 3,000 specimens to around 60,000 by the end of the decade. The collection continues to grow, containing about 100,000 specimens by the turn of the century. The entire collection moves from the basement of the Life Science Building to the newly constructed Amphibian and Reptile Diversity Research Center. The University of Louisiana at Monroe donates 50,000 specimens, bringing the center's count of specimens to more than 200,000. The donation represents nearly every species of reptile and amphibian that exists in Louisiana.